It’s no secret that Cadillac has had a hard time selling their non-Escalade offerings. This results in some serious depreciation in the pre-owned market. Which is good news, if you happen to be looking to buy a 420 horsepower used luxury sedan for less than a loaded Malibu. The current generation Cadillac CTS is arguably one the best sedans GM has ever made. You can get a CTS with a variety of powerplants under the hood. You should probably skip the 2.0-liter four-cylinder, but the 3.6-liter V6 would be plenty of punch for your average driver. But you, Jalopnik reader, are not the average driver. You want power. You want dynamism. You would probably love the insane CTS V in your driveway. In case you forgot, the CTS V is a 640 HP four-door rocketship that can top out at 200 mph. But those monsters will set you back at least $65,000 in the used market. Which is still a hell of a bargain, but probably a bit too steep for most folks. 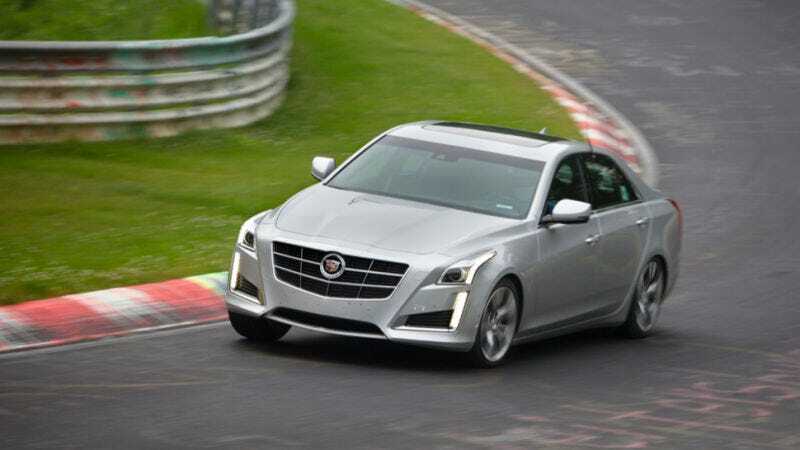 The happy medium between cost and power is the CTS V-Sport (formerly known as the Vsport) which comes packing a twin-turbo V6 cranking out 420 HP and 430 lb-ft of torque. At a time when most of these of these mid-size luxury sedans have tossed handling aside for a more isolated feel, the CTS will not get flustered if you push it into a corner. The best part? These cars can be found in the pre-owned luxury sedan sweet spot price of around $30,000-$35,000. The Mercedes E43 AMG is one of the hottest selling luxury sport sedans on the market and it’s not even a “real” AMG. It has a starting price of $72,000 and only 396 HP. But for those of you that can push aside some badge snobbery, a lightly used Cadillac CTS V-Sport will give you more performance for less than half the price.